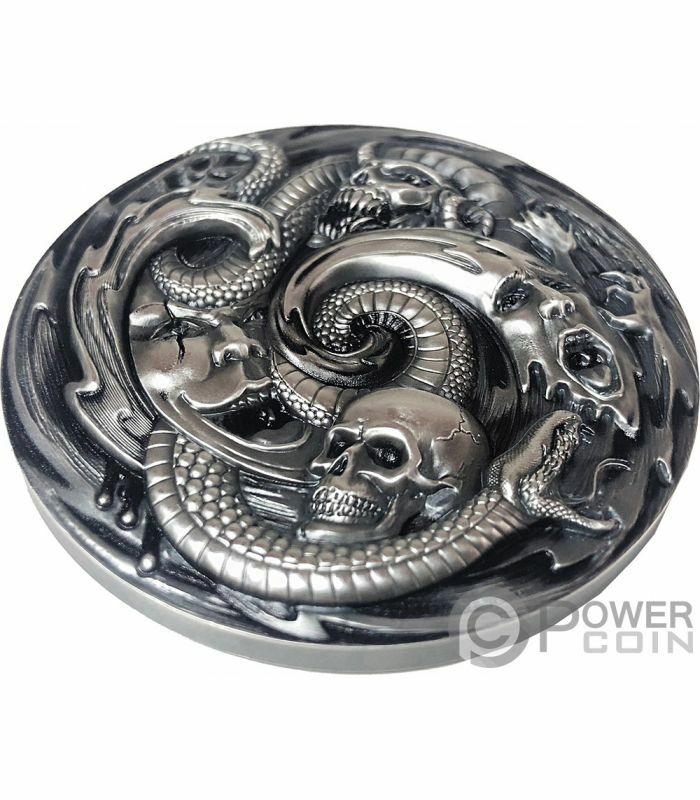 This stunning 3 Oz Silver Coin is dedicated to an artifact in Greek mythology which seems to be valuable but which in reality is a curse- Pandora's Box. 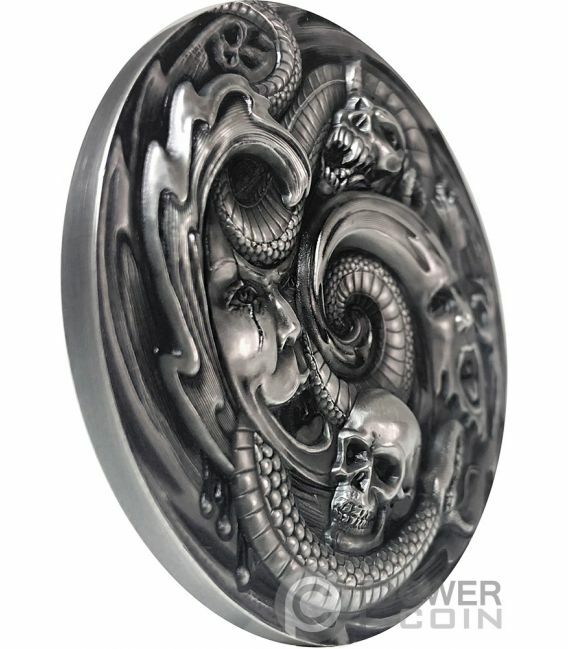 The coin features unbelievable High Reliefs and details thanks to the new EHR technology, has an incredible design and comes in a case, along with the Certificate of Authenticity. Limited mintage of only 666 pcs worldwide. 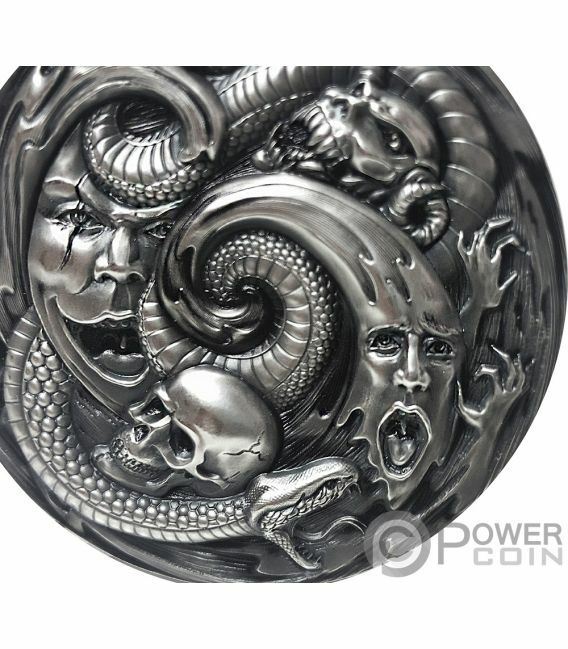 One of the most beautiful detailed coins ever seen, thanks also to the new Epic High Relief (EHR) technology applied to the coin. 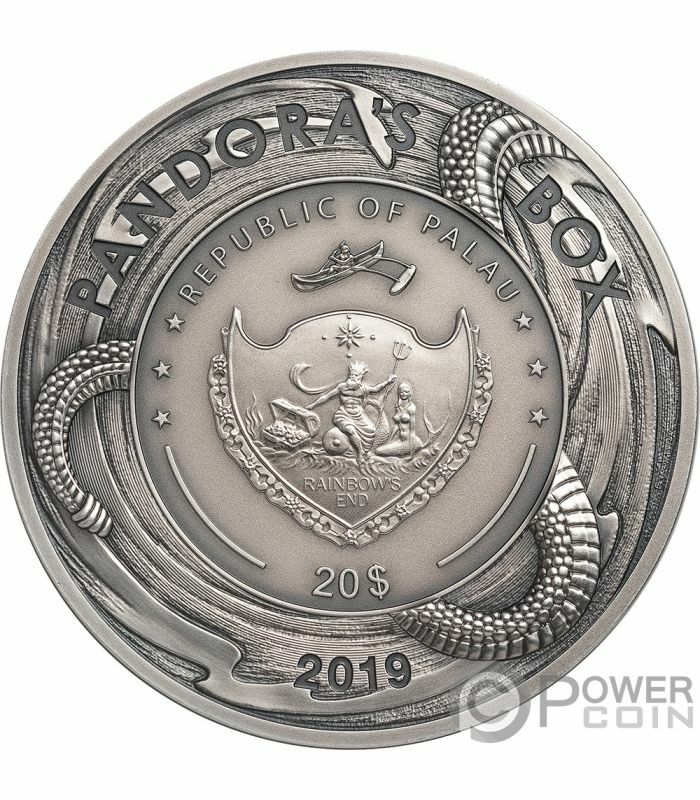 A true Minted coin, not casted as we are used to see on many of nowadays releases. 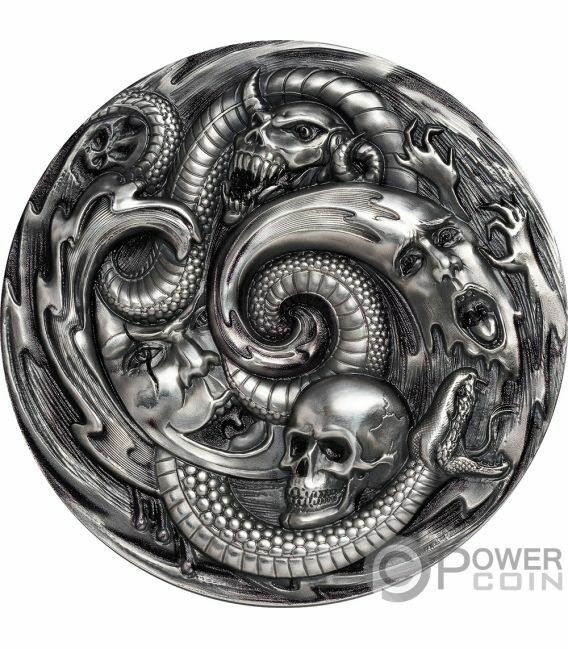 A perfect coin also in terms of investment, thanks to its low mintage and high demand in the market. 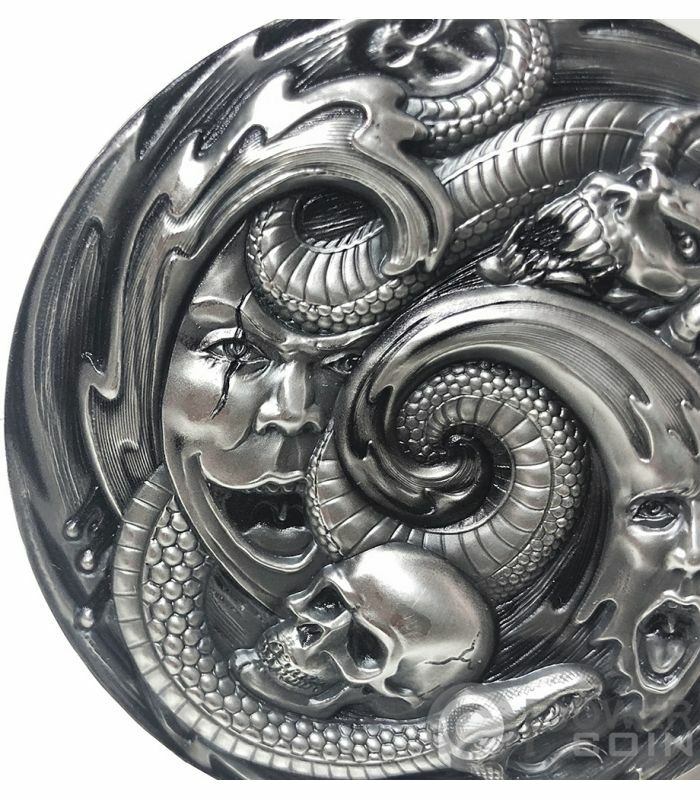 The reverse of the coin depicts an incredible image of all the curses of the world, including demons and mythological creatures that are depicted in a vortex, as if they were escaping from their prison. A Snake covers the design by passing from the reverse, to the obverse of the coin. 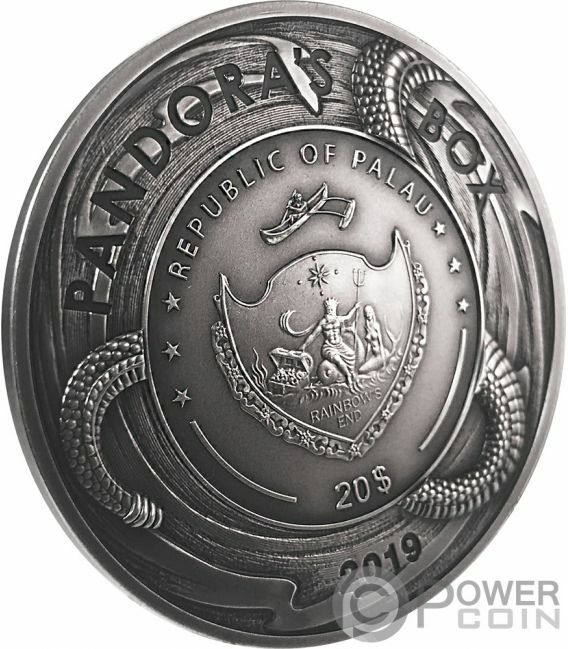 On the top of the obverse, the inscriptions: “PANDORA'S BOX” – the name of the coin and “REPUBLIC OF PALAU” - the issuing country. On the bottom, the inscriptions: “20 $” - the face value and “2019” – the year of issue.